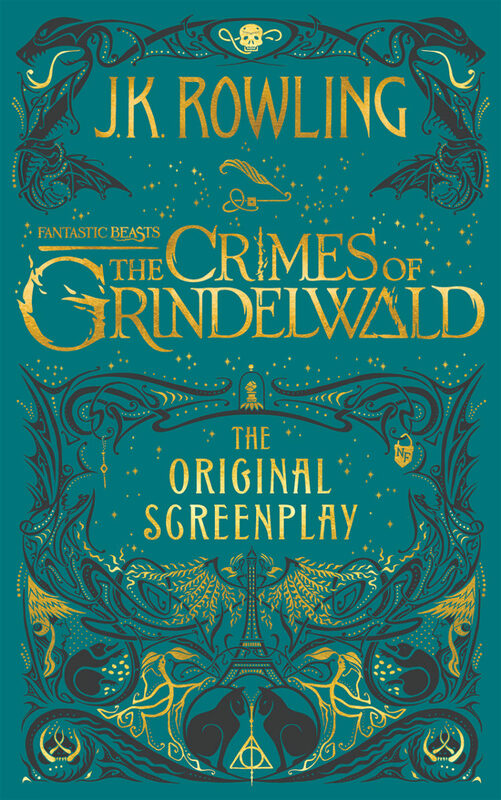 The cover artwork for the Fantastic Beasts: The Crimes of Grindelwald screenplay has been revealed, featuring clues for the upcoming film. 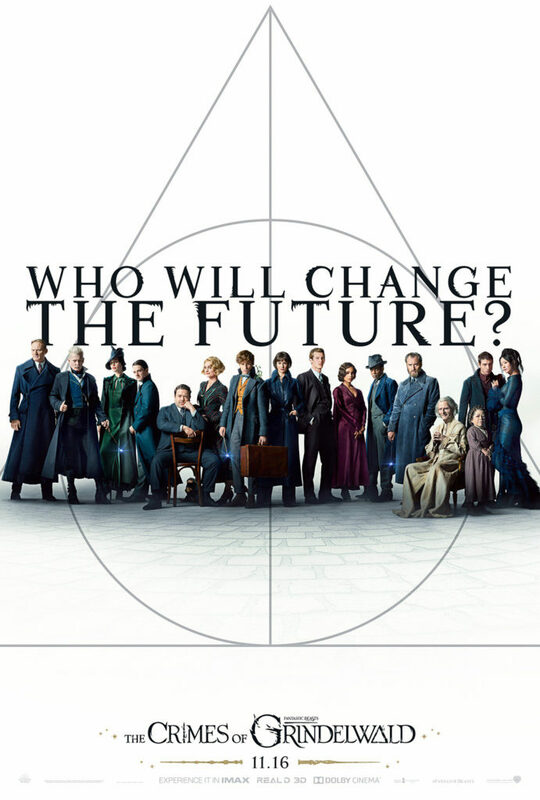 The screenplay will be available in November. 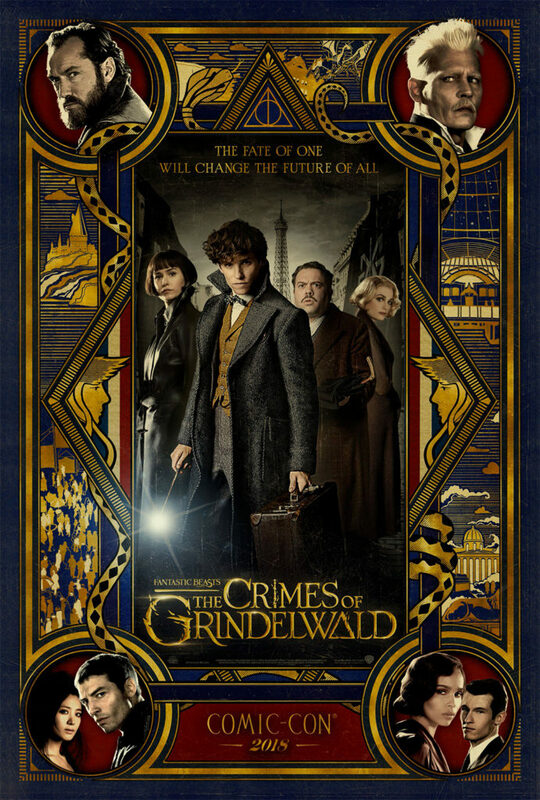 As well as today’s trailer, Warner Bros. has revealed the first poster for Fantastic Beasts: The Crimes of Grindelwald featuring Newt Scamander (Eddie Redmayne) and Jude Law (Albus Dumbledore). 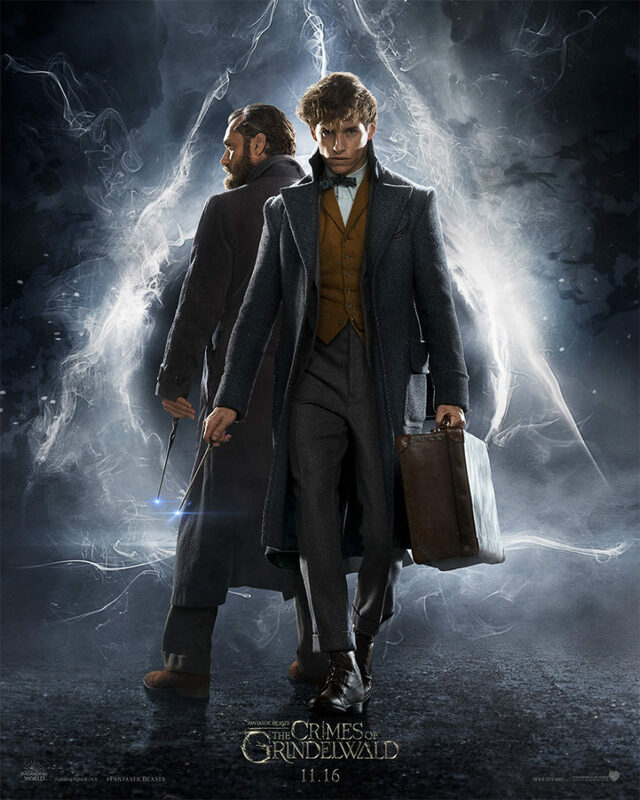 Warner Bros. has released two promotional stills for Fantastic Beasts: The Crimes of Grindelwald, the second in the Fantastic Beasts film series. 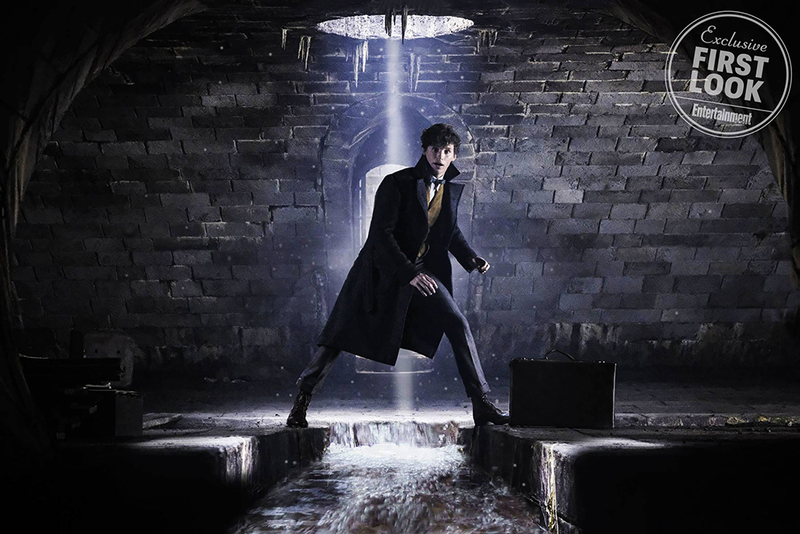 The first shows Newt Scamander, with case, in a sewer. 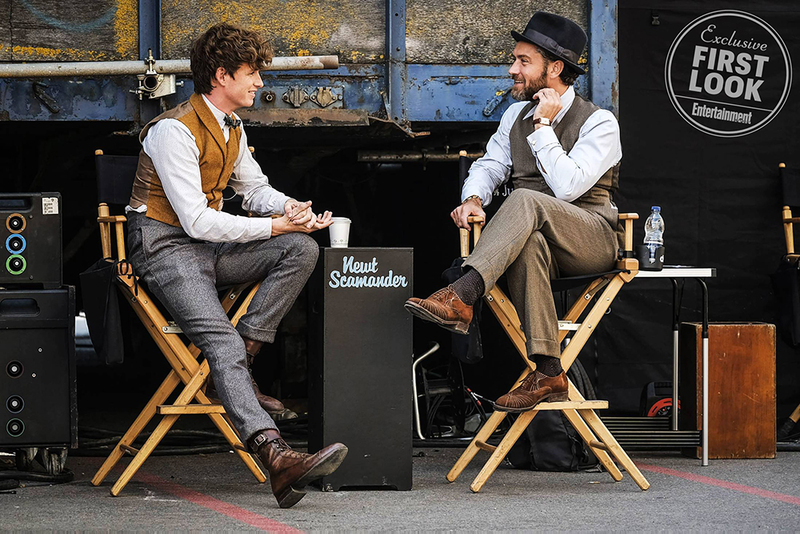 The second shows Newt (Eddie Redmayne) and Dumbledore (Jude Law) chatting on set.